Here I am again, joining in with this week’s little happies. Before I get going, I’d just like to say a big thank you to those that left their comments and thoughts about kindles vs books, and some book recommendations too on my last post. It’s lovely to hear from you and your thoughts on this, from both book lovers and kindle fans. 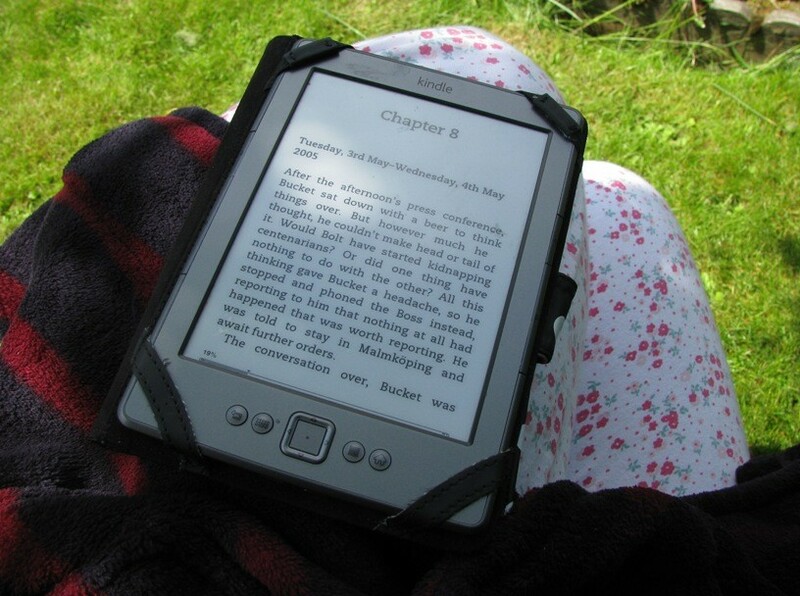 I’m still going with my borrowed kindle – I’ve got quite into it this bank holiday weekend as I’ve not been feeling too great (dodgy tummy – less said about that, the better). It’s been nice to veg out and have a read and I’m finding some plus points to the electronic book – the lack of pages has meant that one handed reading has been a doddle, and I also attempted propped-up-next-to-the-oven-cooking-dinner approach too (I’ve certainly never read a book while stirring dinner before). Actually it handles any awkward reading position with ease! 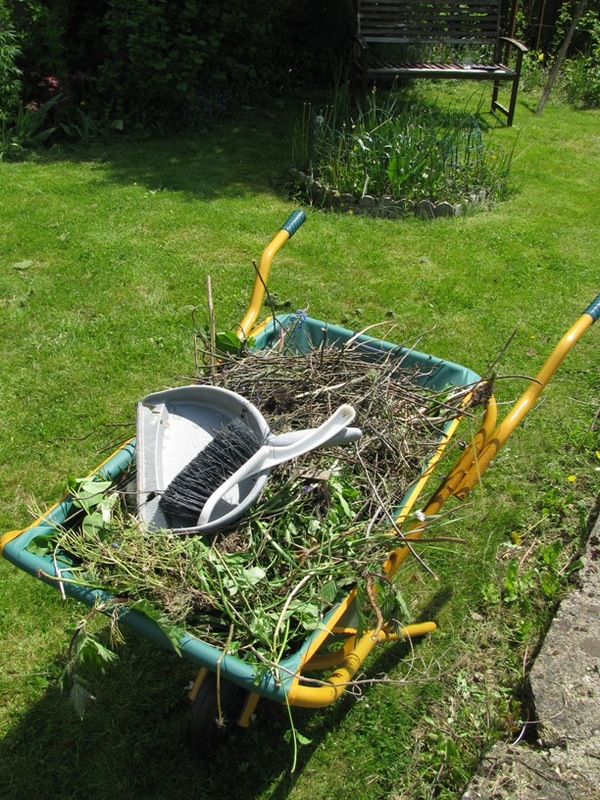 and when I was out in the garden convalescing (I felt like an old lady sitting on the bench in my dressing gown at 2.30pm in the afternoon watching The Bert and his mum tackling the weeds), it even coped with the bright sunshine. No glare at all. Jury is still out though – I think I need to finish this book before I’ll have made up my mind as to whether I want to get my own. I am missing the cover a little bit, and slightly bothered about how it copes with books with illustrations? 1. The builders have finished! 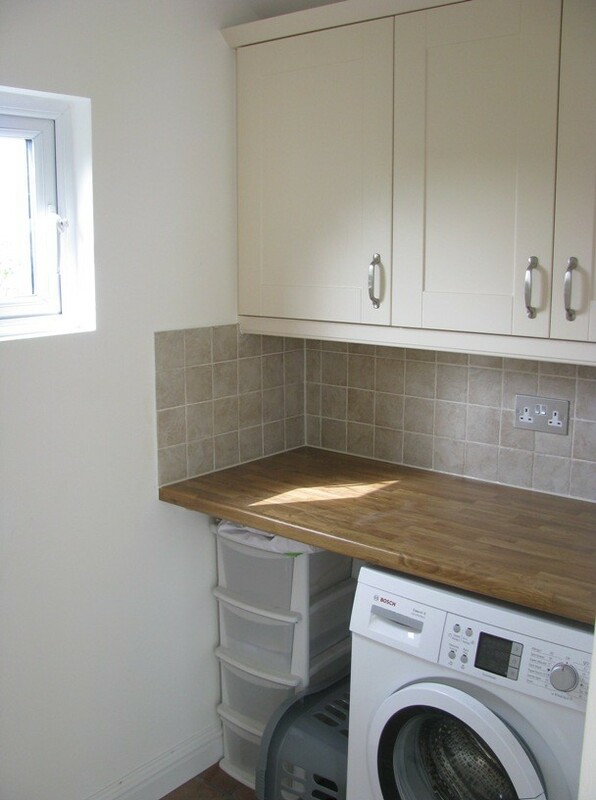 I’ll hoping to find time to do a proper picture post on this, but just a wee glimpse of our new utility room! oh my, it is so lovely (and grown up!) to have a proper place to do laundry and store washing powder, recycling etc outside of the kitchen. Plus we now have a proper downstairs cloakroom too! It is just such a lovely space, exactly how we imagined and I’m so pleased that it’s pretty much done! 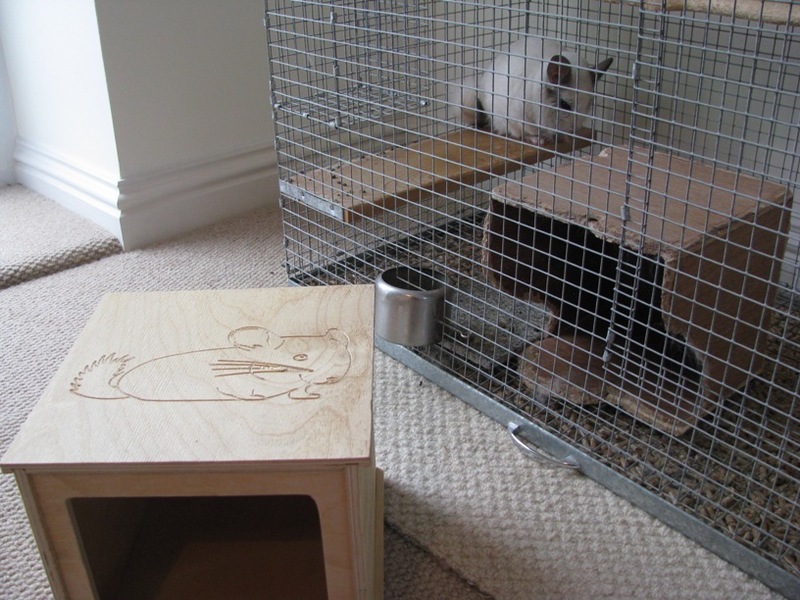 It seemed only right with our own home improvements that JB should get the same, so we bought a new house for him this week – complete with carved out picture of chinchilla on the top (I’ve since attempted carving his name into the top too – not too successfully. I think a screwdriver was probably not the best implement). As you can see from the state of his old one, he needed it! It was so sweet watching him check it over, and he’s already enjoying gnawing at the new one and throwing poo pellets around it with gay abandon (I guess he needs to make it feel homely). The Bert’s mum visited us this weekend. It’s a while since she was last here and great to show her all the work we’ve done in the house since her last visit. While I was sleeping and generally feeling rubbish on Saturday, The Bert and his mum set to work on the garden. There was a lot of activity – The Bert cut down a dead tree at the bottom of the garden and tackled the overgrowing borders while his mum set to work on rationalising all the pots on our patio, none of which we’d moved since we moved in last year. 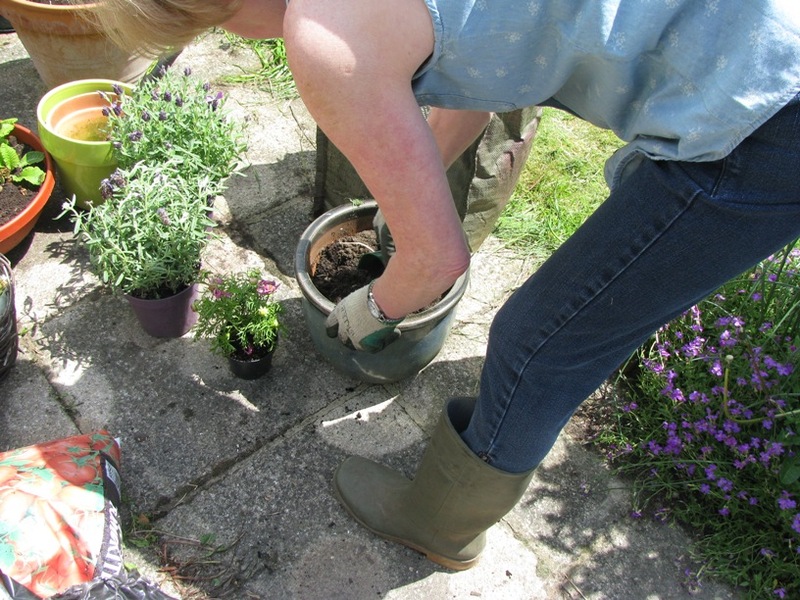 She also potted on several plants and planted out some new ones too. 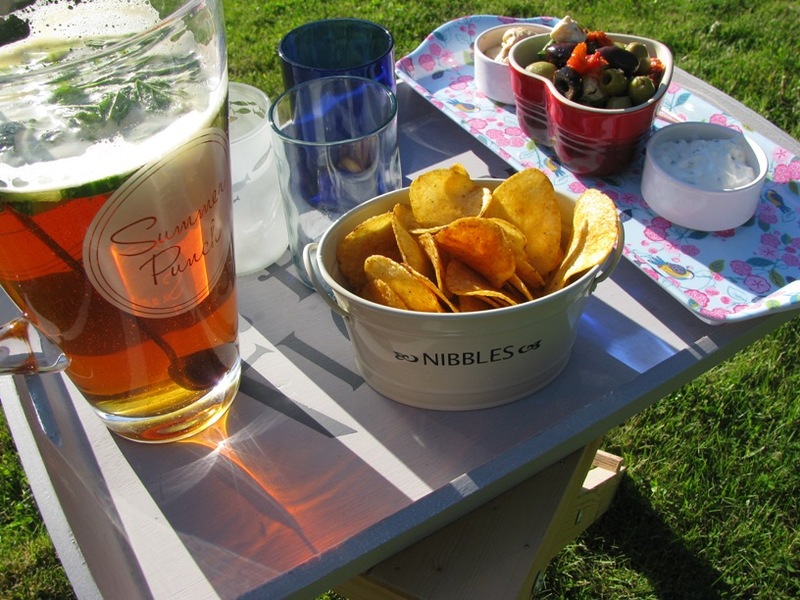 By Sunday afternoon I was feeling a little better, so we fired up the BBQ and set to making things a bit summery. 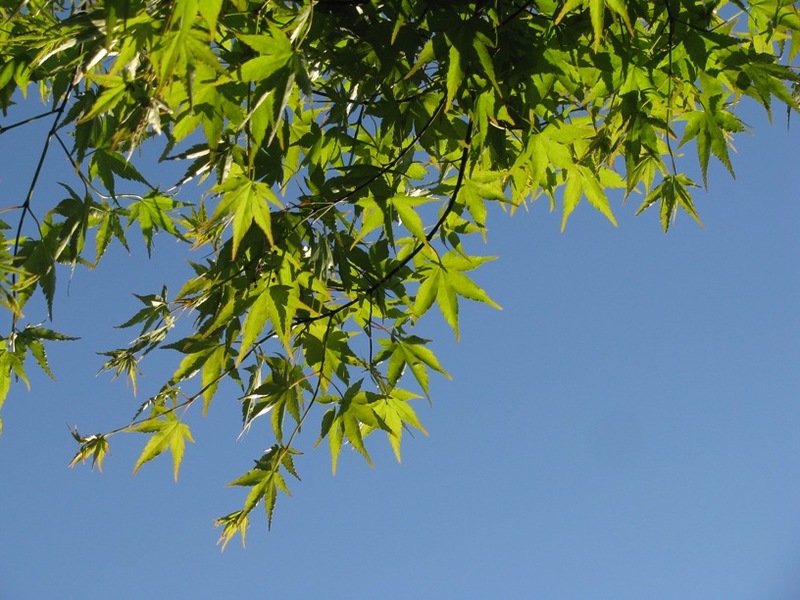 It was lovely to feel the warmth of the sun and see so much blue sky! We did a bit more gadding about this morning before she headed home, but my stomach had a bit of a rebellion late morning and the rest of today has been a bit of a wipe out in terms of getting jobs done etc while I try and get over this nasty bug. Maybe a spot of hooky will help with that – perfect time to make some Lucy Yarndale bunting, don’t you think? PS. I wonder how many of you will know which book I’m reading on the kindle, just from seeing that one page? This entry was posted in 52 weeks of happy, books, Garden, Home, JB, reading, Renovations. Bookmark the permalink. Sorry to hear you’ve been unwell, it sounds like it would have been a great weekend if it wasn’t for the bug. I love the peak at the new utility room and look forward to a proper post. I have no idea what book you are reading from the page I saw, I haven’t read that one! Hope you feel better soon.